General Data Protection Regulation (GDPR) is a watershed moment for data security and citizens’ rights. After four years of discussions, the new regulation was ratified in December 2016 and will go live in all European Union (EU) member states on the 25th May 2018. But what does it mean exactly? What are its principles? And what are the best ways for organisations to ensure they are compliant? 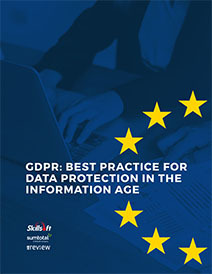 This whitepaper will clarify the details around GDPR and offer best practices for companies to implement. Download the free whitepaper below to discover the impact of GDPR and what you can do to be fully compliant.